Kairos Resort Opening July 1. 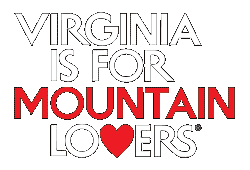 Giles County, VA – Mercer County, WV – The newest tourism destination in the two Virginias is opening to guests on July 1, 2017. Kairos Wilderness Resort, is a 1,500 acre mountain-top property located in both Giles County, Virginia and Mercer County, West Virginia, just west of Glyn Lyn. Kairos offers ATV/UTV/dual sport & dirt bike trails, yurt rentals, RV & primitive campgrounds, the New River Water Trail, world-class fishing, hiking trails, and scenic mountain and river views. This July Fourth weekend, don’t miss your chance to be among the first guests to experience Kairos Resort and over 40 miles of trails on 1,515 acres in the beautiful Appalachian Mountains. Bring the entire family, and don’t forget your pets; even if they have hooves. Kairos trails are open to horseback riders as well as hikers. If you’re an ATV/UTV/dual sport or dirt bike rider, Kairos has designated trails for motorized riders as well. Book your reservations online at www.kairosresort.com or email info@kairosresort.com. Included in your stay is exclusive access to the network of trails on the expansive property and camping onsite. Full hookups in the RV and camper campground area or primitive camping sites are available in addition to the bathhouse and Ed’s Place, a gathering indoor area near the campsites for socializing or to utilize for meals. Kairos has access to the New River Water Trail, so bring your kayak, canoe or paddleboard. Equipment rental and shuttle service is also available by Kairos, partnering with Tangent Outfitters. Kairos is also available for groups, weddings, and events. To plan your special event, contact Logan Tyler at logan@kairosresort.com. Join us on July 1 to camp, fish, float, ride, and enjoy the two Virginias! For more information about planning your visit to Kairos or about activities and events, please visit www.kairosresort.com or contact us at info@kairosresort.com.